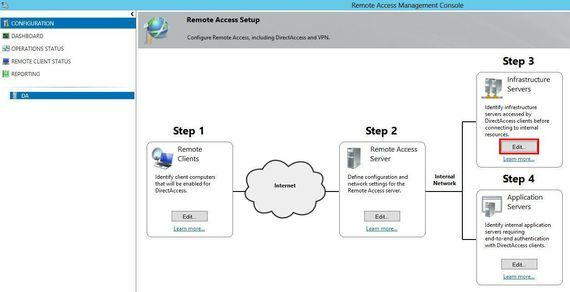 In part 1 of this series, we configured DirectAccess for an IP-HTTPS connection in a simple (home) environment. In part 2, we enabled reporting and improved client settings to reduce connection time. In the two next parts, I propose to improve the security. 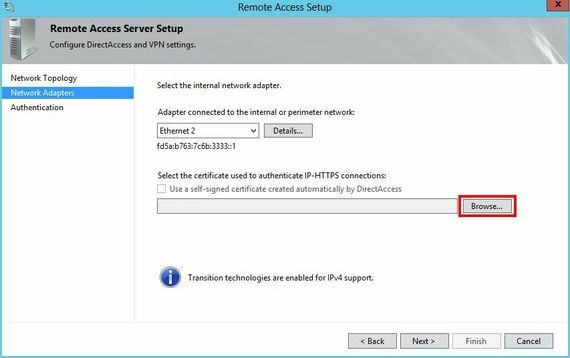 In this part, we will remove the self-signed certificate used for IP-HTTPS connections and we will generate a certificate from our PKI. 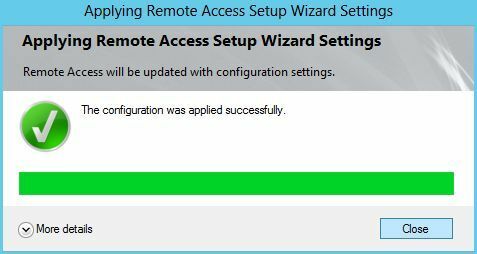 Next part is dedicated to client authentication. 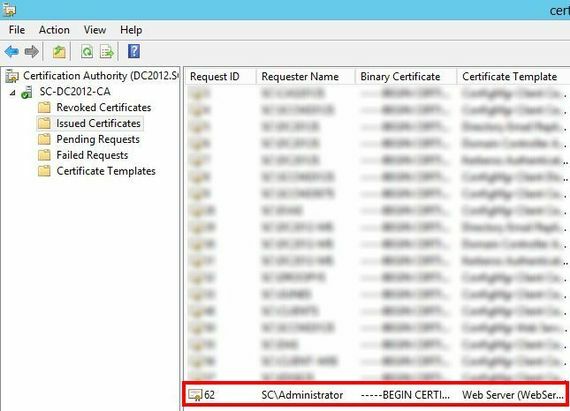 If you don't have a PKI, Install the AD CS (Active Directory Certificate Services) role on a server (your DC if you want). 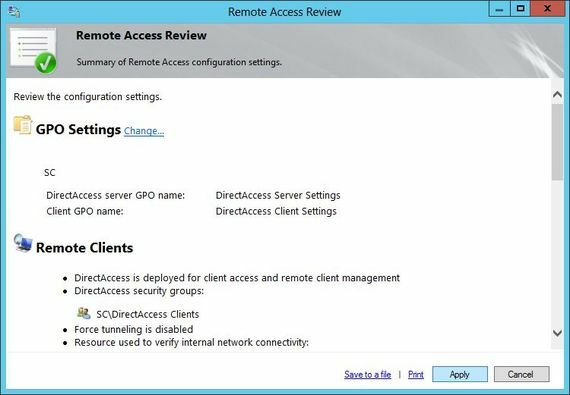 For more information, read the instructions on Basic PKI for Windows Server 2012. 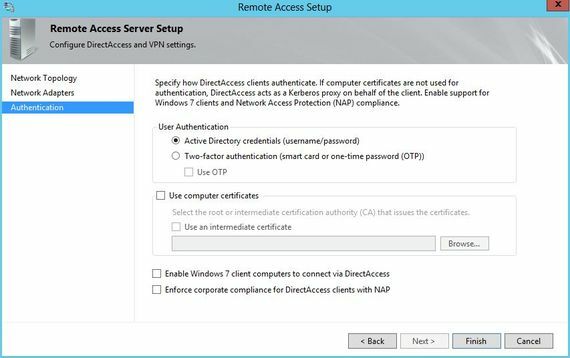 You can't request and import a certificate with a private key if you're not connected locally on the server. So with a core server, don't try to request the IPHTTPS certificates, with a mmc console from another computer. 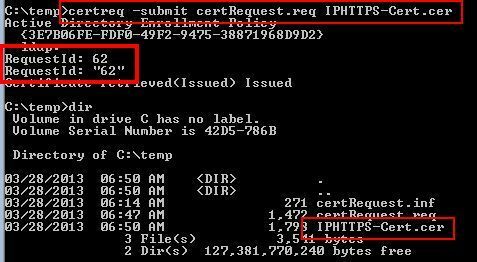 - Autoenrollment : you create the IPHTTPS certificates template on your PKI and you define security options to allow only your DirectAccess server to enroll that certificate automatically. Good idea ! 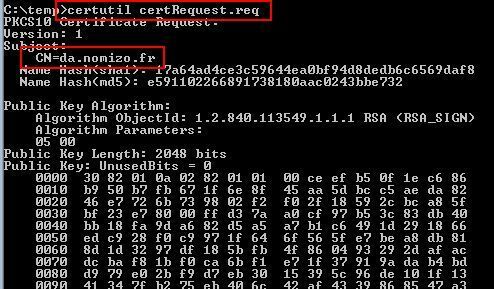 - Request certificate with command lines. Let's do that ! Subject = "CN=<public domain name of your server. 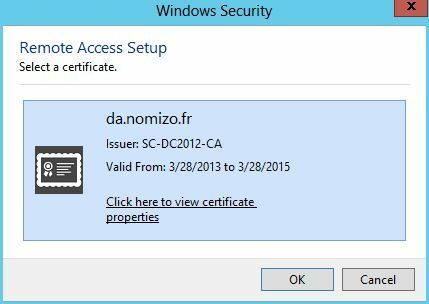 For example da.nomizo.fr>"
KeyUsage = "CERT_DIGITAL_SIGNATURE_KEY_USAGE | CERT_KEY_ENCIPHERMENT_KEY_USAGE"
Note that I've got an alert for the CA certificate. That's only because my local machine can't confirm that my DirectAccess server trusts the CA certificate. 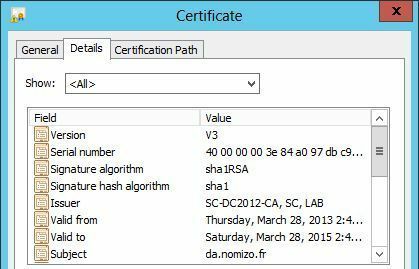 You can ensure that you select the right certificate by clicking on Click here to view certificate properties. Note that private key information is not shown. 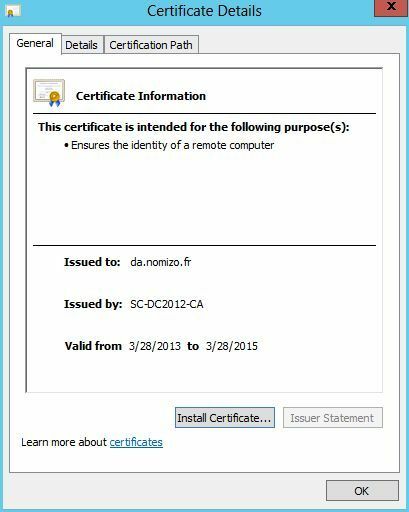 Click on OK to select your certificate. 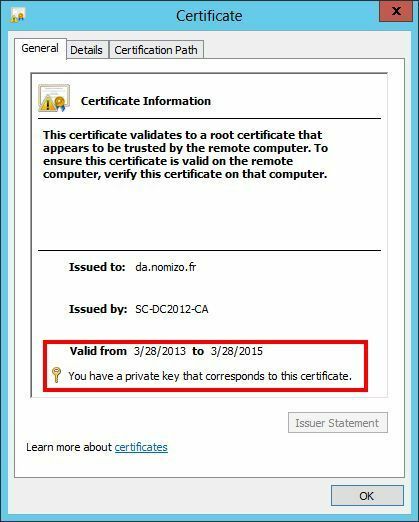 The Common Name of your certificate appears. 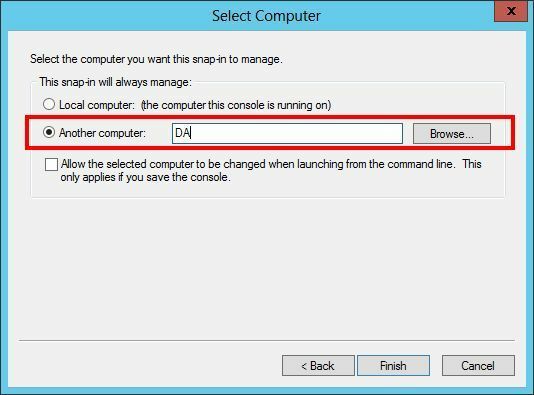 You will certainly get several alerts and a message that says "Configuration for server servername not yet retrieved from the domain controller"
If you still receive an alert that says "Configuration for server servername retrieved from the domain controller, but not yet applied. ", that means probably that you made a mistake during the IP-HTTPS certificate creation. 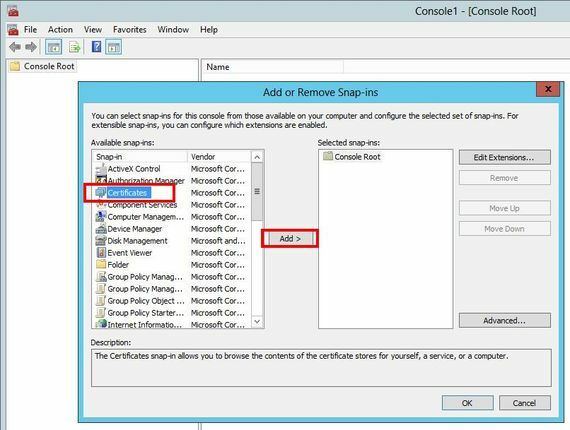 See technet for more information about configuration distribution issues. 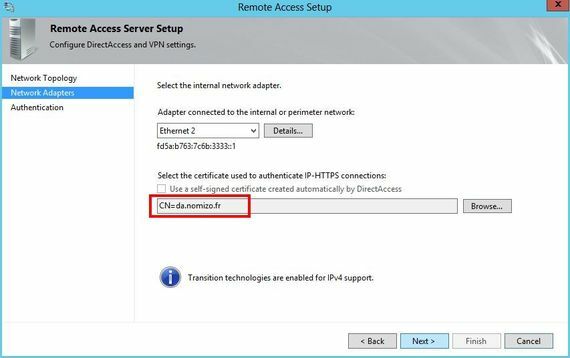 With the same method you can replace the self-signed certificate for NLS (Network Location Server) server by a PKI generated certificate. Subject = "CN=<NLS name of your server. 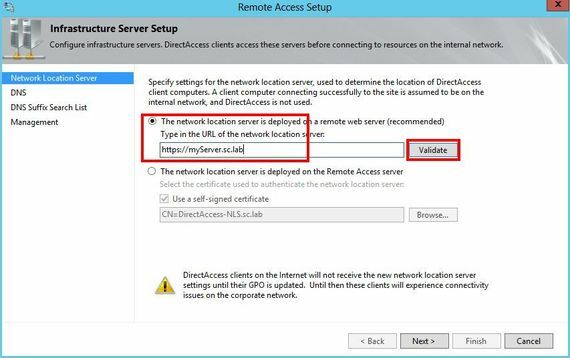 For example DirectAccess-NLS.sc.lab>"
Note : Ensure that your DNS record exists. 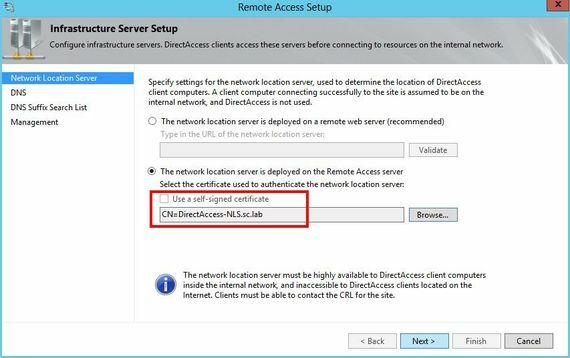 Especially, if you use the same CN than the self-signed certificate, DirectAccess may remove the DNS record. 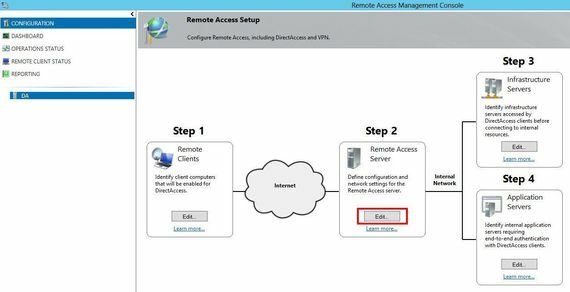 You can also set an HTTPS server what you can reach on your network. Be careful, that URL must be available ONLY from your internal network, otherwise your clients will suppose it is locating on your network and won't create a DirectAccess communication. 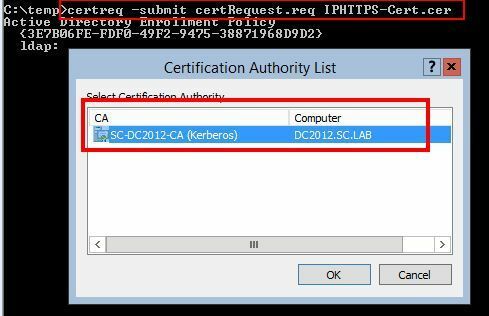 Now, our DirectAccess server use certificates generated from our PKI. It's really more secure ! 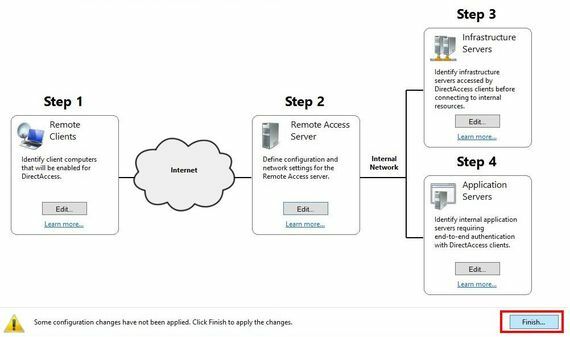 In the next part, I will show you how to improve client authentication security with certificates.